A guide to electronic resources available to alumni. duPont Library is pleased to offer free access to several journal databases for our alumni! Alumni are also eligible for library cards ($10 fee). 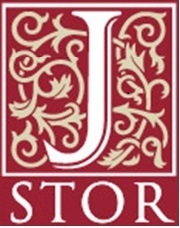 JSTOR contains over 1000 academic journals in the humanities, social sciences, and sciences. It also includes over a million images, letters, and other primary sources. Most journals are covered from their first issue up to 3-5 years from the current year, and include previous titles. First, go to the login screen. If you have a sewanee.edu email address, your username is the first part of your email address (before the @sewanee.edu) and use the same password you use for your email. If you can't get in, you may need to update your password. There is a password reset tool at this link. If you have trouble, there is contact information on that page for the help desk, and they can reset your password. If you do not have a sewanee.edu email account, email us at research@sewanee.edu or call us at 931-598-3333 to obtain an OpenAthens username and password that can be used for JSTOR, Project Muse, and Sage Premier journals. Project MUSE contains full-text versions of scholarly journals from many of the world's leading university presses and scholarly societies, mostly in the humanities and social sciences. Note: We subscribe to the "Standard Collection" which is not all of the journals on this site. You may want to limit your search to "Only content I have full access to." A collection of over 700 journals published by Sage, covering topics in the humanities, social sciences, and science, technology, and medicine. More than 298 are published on behalf of learned societies and institutions. At the top right corner of the screen you will see "Access Options." Click on "Institution." From the resulting screen, choose "Open Athens" in the middle column. Note: We subscribe to the "Sage Premier" package, which is not all of the journals on this site. You may want to limit your search to "Only content to which I have full acess." This is a collection of full text articles and book reviews from more than 100 journals selected by leading religion scholars in the United States. This database is produced by the American Theological Library Association. 1. Contact Romulus D. Stefanut at rdstefan@sewanee.edu to get a login. 2. Go to the login screen.